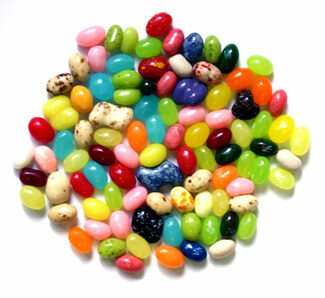 All of us, like Jelly Belly beans, are unique and different. Together we are a kaleidoscopic force. When I arrived in the mix, I didn’t get to choose my flavor. I was created to be Wild Blackberry. Sure, Very Cherry was and has always been the majority and favorite, but without the contrast of the others, wonderful combinations like Cherry Vanilla, Cherry Cola, Cherry Cheesecake and Cherry Chocolate wouldn’t exist. I get that there’s not as many of me as there are the red ones, but my “wild” flavor really adds to the ensemble. The beauty is, I am a favorite for some — not all — but some. I even go well with various mixes and medleys of Jelly Belly’s. I’ve always been surrounded by a variety of wonderful beans. Being naive, I thought we all knew that we are all just one of a kind but it’s okay to be together. When the ones closest to me became aware that I was Wild Blackberry, some of them told me I wasn’t a good flavor and that I was defective. Some told me I didn’t belong in the mix. Some said I was no longer allowed to be next to them. Some even said I needed to “fake it” and pretend I am one of the “more acceptable” flavors. Sadly, I tried to find out if I was really that different from the rest. I discovered that inside, we are all the same, but our tastes and colors might just be distinct. I’m now happy about the way my confectioner created me. I don’t regret that I’m one of the deep purple ones. At times, I tried to disguise myself as a cherry one, but every time I did, the red washed off — I was still blackberry through and through. The only reason I think I put up the front was because the sweets around me suggested it wasn’t okay to be Wild Blackberry. Today, I embrace myself and those around me that don’t mind sharing this colorful life with me. So whether you’re Berry Blue, Chili Mango, Island Punch, Lemon Drop, Sizzling Cinnamon, Toasted Marshmallow, or Tutti-Fruitti, know that I’m okay to share this mix we call “life” with you. 02 Jan	This entry was published on January 2, 2014 at 6:43 pm and is filed under Life. Bookmark the permalink. Follow any comments here with the RSS feed for this post.